Furious Hooves | Your latest Furhoof Hoops News: A Charlotte Hornets Comeback? 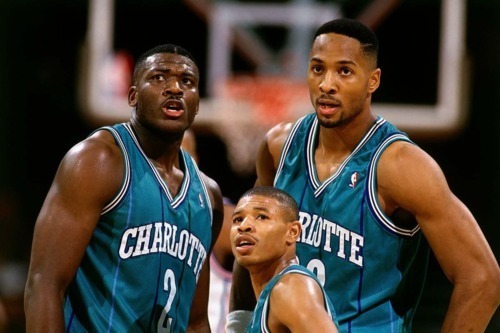 There are reports the Charlotte Bobcats are looking to change their name back to the Charlotte Hornets, a name (and high radness level) held from 1988-2002. For us here at Furhoof, this is fantastic news. One can only hope they revert back to the 90s uniforms/logo as well.